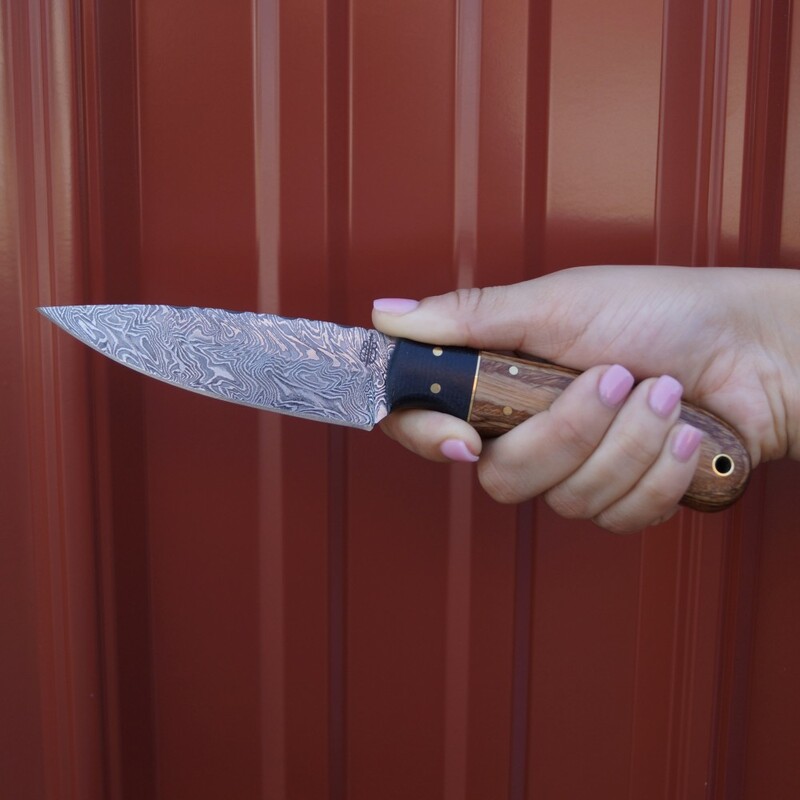 This drop point Utility/Hunter has a Damascus blade with full tang construction. Blade is 3/16" thick and 1 1/8" deep. 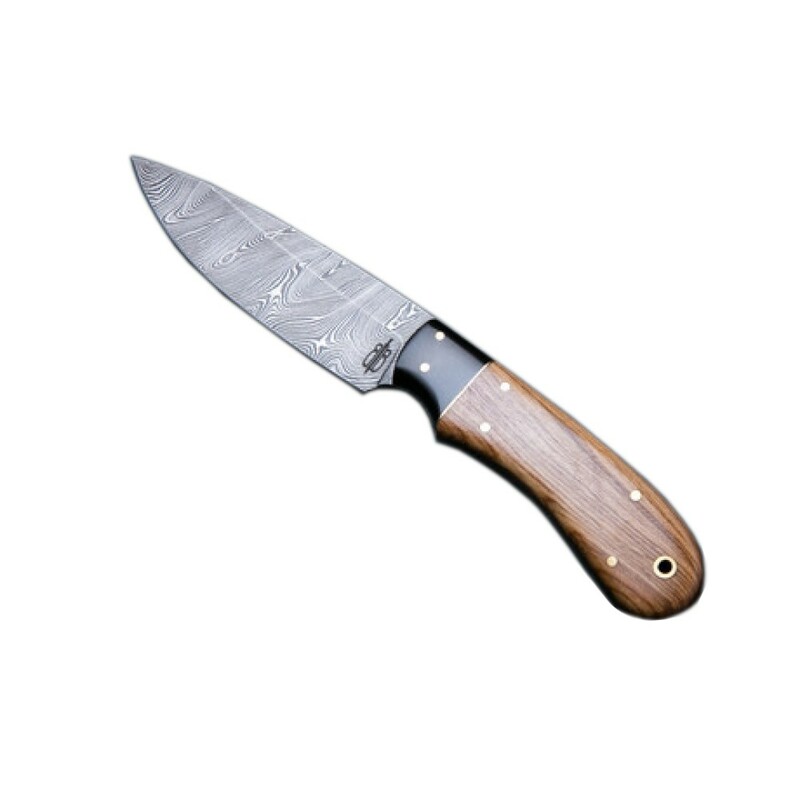 The handle is lovely olive with a blue/black micarta bolster. Brass pins and accent spacer. 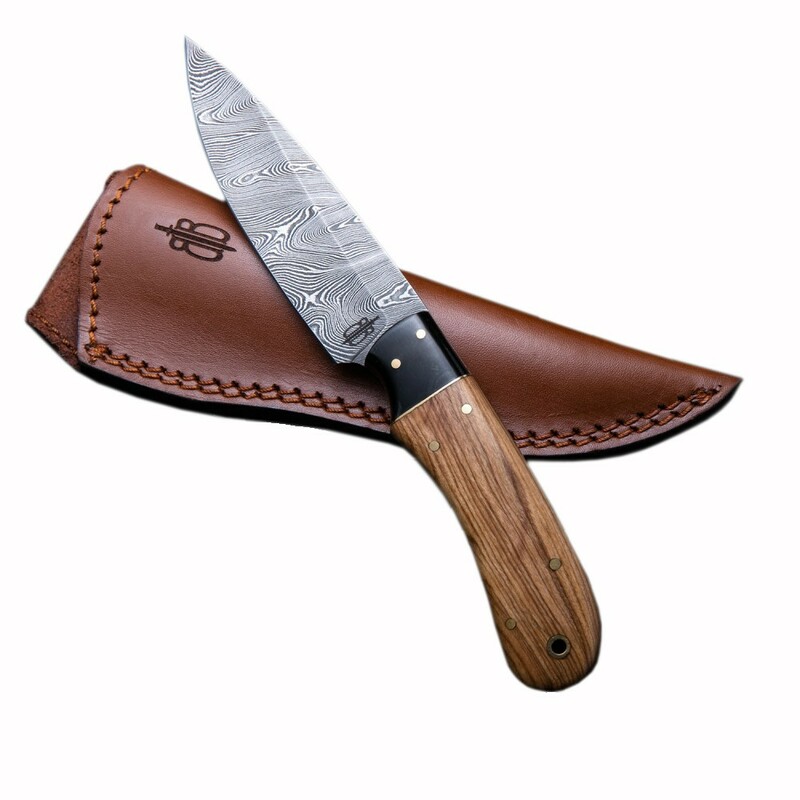 Includes leather sheath with belt loop.